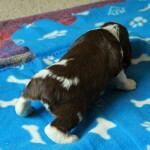 Welcome to CuriousPuppies.com! Please take some time to browse our site. We have lots of valuable tips and information on choosing your new puppy, many articles about our puppies for sale, pages and pages of beautiful testimonials, as well as our Available Puppies For Sale page! Enjoy! to see if we have any puppies for sale. 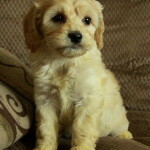 How Do You Choose Puppies For Sale? 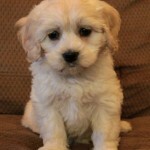 Finding puppies for sale can be a difficult task for many people. You have to decide which kind of puppy you want based upon your lifestyle, home situation, time you will be able to spend with the puppy, personal likes/dislikes for looks etc, and many, many more decisions. And you may have a hard time even finding puppies for sale that may be close enough to visit in person. You may see puppies for sale as you pass by a local pet store, the Humane Society or shelter, or have a neighbour or friend who had a litter, or a cute dog walking down the street and wonder where he came from. 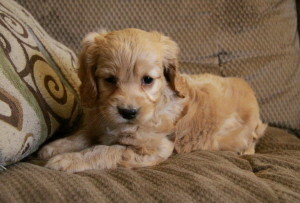 Overall, there are too many things to consider when looking for a puppy that it can never be a quick decision. On our website we will discuss a number of things to consider that are extremely important to know before you even go visit puppie, as you may find yourself too weak to turn down the adorable puppies you may come across! Everyone knows how easy it is to fall in love with puppies, and holding them in your arms and watching them jump and play – well, that’s near impossible to resist! So, read on, get out a checklist, and do plenty of research before you make any decision about buying any puppies for sale! 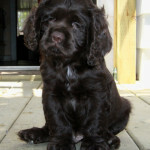 We are here to educate you and help you find your perfect puppy in any way we can! 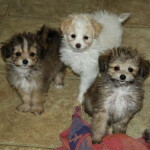 Puppies For Sale: Who Are We? Our young family has been fostering puppies for sale since 2007 and has enjoyed many special breeds and hybrid cross breeds available. 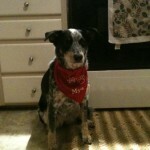 We’ve fostered many planned litters as well as those unplanned litters we are trying to avoid people having. Our children were 2 and almost 4 years old with our first litter, and have enjoyed spending time with various puppies for sale over the years. 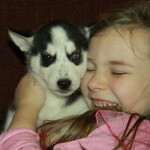 The puppies always enjoy the personal attention from the children as well as the other dogs in our family, and they are occasionally spoiled even getting to put the children to bed! The puppies also love being able to play with our friends and their children who visit, and it’s always great for them to be exposed to so many different people at the ideal ages. 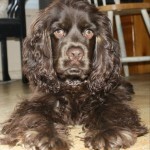 We also have a 3 year old purebred registered American Cocker spaniel, Georgia, who had her first litter of registered puppies for sale April 23, 2011, that was carefully planned along with her original breeder. Georgia had 6 healthy and very well socialized puppies for sale and did an amazing job with her first litter. 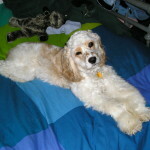 (Please note: Georgia is our family pet and is not for sale) Georgia has been bred with a small mini poodle mid December 2012 and may be expecting a litter of cockapoos mid February 2013. Stay posted for details! Why Do We Have Puppies For Sale? 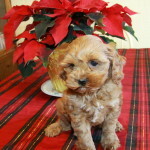 Many people who are looking for puppies for sale will know how hard it is to find puppies that fit your criteria and are close enough for you to visit. 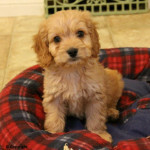 Many people also want to visit multiple times before deciding on the right puppy, and many will want to spend even a few hours at a time visiting and socializing with the puppies to determine different personalities. This is part of the reason that we dedicate much of our time to families visiting in our home and taking all the time they need before deciding on a puppy for the next 10-15 years in their home. We never rush our families, instead we encourage them to take all the time they need. Our breeders all work very hard at their jobs, and caring for the puppies and adults, that they are not always able to give the families who visit the much needed time they require and should have access to. The puppies and adult dogs are able to play with the children of the breeders, however that doesn’t help prospective buyers when they need valuable assistance from an adult! Some have small kennels as well as full time jobs off their property, or work their farm fields as well and this all takes up much of their time. Many breeders in fact have no access to the internet, and while that may seem strange to many of us, the beautiful farm lands they enjoy do not always allow this luxury. In addition, we have spent much time researching and experiencing so many different aspects of the puppy training process that we can give the buyer much valuable information on raising and training the puppy as well as telling them many of the things that do not work. We like to spend a significant amount of time educating our families and answering every question they have before they go home. 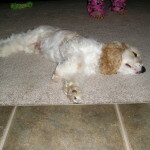 We also love to stay in touch and watch the puppies grow up, through photos and email updates. 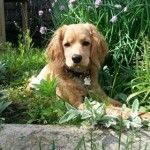 They are treasured emails and phone calls for us, as we have put so much of our hearts into our puppies for sale. Over the years we have had so many requests for puppies from people that were not able to drive to our home. In Canada we enjoy such a vast and beautiful country, unfortunately this also means too many people are so far away from their perfect puppy. In the past we had decided that shipping the puppies for sale was unnecessary, but in the recent months the requests have only grown. We have talked with many families who have the perfect homes, lifestyles, and family situation to give an amazing life to our pups, however that would mean they would have to board a plane. We used to require an adult to pay full airfare and come to us, pick up the puppy, and fly back to their home together. While this was great for us to still meet the family member in person, this just isn’t feasible for so many people these days. We have now made shipping available to approved families through the airlines of our choice who we have found to give great care to our precious cargo. In fact, the first two puppies to board a plane alone were our own Georgia’s precious puppies – Patches, who was renamed to HersheyBoy by his new family (Montreal, Quebec) and Brownie, renamed to Cooper (Labrador, Newfoundland). Both arrived in fantastic spirits and the families were both overjoyed. It is hard for us to imagine that they could have missed out on these great opportunities for the great life ahead of them if we didn’t offer this option. We won’t be able to meet every new family any longer, but we will be doing our best to screen families and find the best life for our individual puppies for sale. 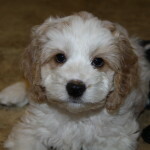 We will be offering many things to consider before you go look at puppies for sale, or decide to buy off the internet. No matter how you go about finding your newest family member, please review every question and consider everything you can about puppies for sale and how this will affect your life after the puppy comes home. Sorry, we are no longer able to ship any puppies. Please make arrangements for local pick up. Thank you. 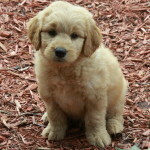 We apologize to the wonderful families who would offer our puppies a great home!